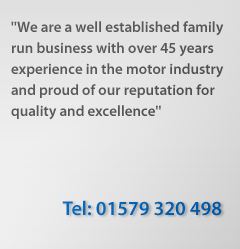 Our commercial team carry out safety inspections, services, repairs, steam cleaning and MOT preparation for all makes and models of rigids, tractor units and trailers including DAF/Foden Dennis, Seddon, Mercedes, Scania, Iveco, MAN/ERF and Volvo . We will organise your maintenance schedules, tachograph recalibration and service, annual plating and when your vehicle is ready for its MOT, we will take it the Ministry of Transport Testing Station on your behalf. We have a 6 bay fully equipped commercial vehicle workshop complete with a mobile pillar lift, two inspection pits, the latest diagnostic equipment, rolling road brake tester and steam cleaning facilities. We offer commercial vehicle roadside assistance and for the majority of breakdowns our trained technicians are able to get the vehicle 'back on the road'. 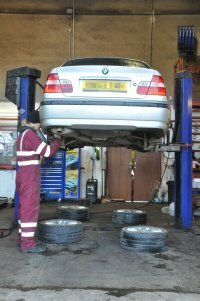 We also work in conjunction with professional recovery companies if required. With an ever- changing market place we are committed to continually moving forward. Members of staff are sent on bespoke training courses with vehicle manufactures, our diagnostic systems are regularly updated and staff are trained to use this equipment. We hold a large stock of parts to cover many eventualities and we are able to purchase parts and receive delivery within an hour from our main supply lines. As well as Claude, Ron and Bill, the commercial team is made up of Aaron, Chris, Ben and Nathan who has just completed his first year at college. So for Commercial Vehicle Servicing in South East Cornwall, or for further details please contact Hannah or Sherry on 01579 320498. Alternatively please complete the Email Enquiry form.